Its been said that a trade is won or lost before you even enter the market. While this fact is true if you simply place the trade and walk away, what about the times we actively manage our day trade positions. Managing forex trades brings into play human emotions, which is why we must have a successful traders mindset which will allow us to day trade the forex market with an edge! Here we will outline 3 effective rules to manage and even eliminate some of the psychological pitfalls that often lead to mismanaging trades or entering poor trade setups. 1.) Know Your Reasons For Entering A Trade – Indecision is one of the biggest killers of what would have been a successful trade. Knowing exactly what you are looking for to trigger an entry signal is key. Plan your exit strategy for when the trade goes in your direction and an exit strategy should the trade move against you. This will ensure that you dont get shaken out of a solid position. Additionally and along the same lines, many traders new to the forex market often start out with a strategy but quickly change from one to another based solely on a few losing trades. A successful traders mindset tells you that you have to look at this decisively as well. 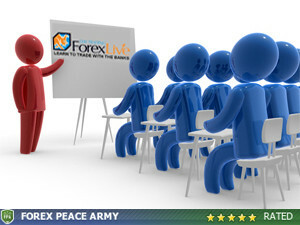 If your forex trading strategy is fundamentally sound, why not try adjusting small portions to a trading system first? When you make the jump from one new system to another, you never truly settle in and allow the system to show its profitability overtime or conversely, its lack there of. 2.) Put The Losses Behind You – Being able to take a loss and move on is something easier said than done. No doubt we have all been there and likewise we all know the emotions behind a losing trade. Its easy to get down on yourself for “why you shouldn’t have entered a trade” but the point is what’s done is done. You cannot change the past, but you can control your future. Much like cheating on a diet, you feel bad and wish you never would have eaten that plate of cookies, but that doesn’t change the facts….you did! So is the same with a losing trade, we all wish we could have it back but you cant! Move on or it will eat you up and cause further losses. An effective way to forget a bad trade is to simply remove yourself from the screen. The initial human reaction is to get right back in the market and “get your money back.” Revenge trading is not part of a successful traders mindset, it only breeds further losses and must be avoided in day trading at all cost. Getting up and taking a walk, reading a book, or exercising will ease the tension of a loss and will allow you can come back to the screen with a clear head. It is however important to examine each losing trade to see where you went wrong. Often losses teach more than profitable trades. Examining each losing trade in depth is key to avoiding the same pitfalls in the future. “Those that don’t know history are doomed to repeat it”, and this same principal holds true in the world of forex day trading! 3.) Use The Proper Leverage – This is something that I talk about quite often and with good reason. You cannot have the mindset of a successful trader without using proper leverage, why? When you use leverage that is to high for your account or personal comfort level there is instant stress, even when entering a fundamentally and technically sound trade. Mentally you are consumed by the thought of this trade going against you, and this can lead to managing that trade based on emotion rather than facts. When you use the proper leverage you see each individual trade in the correct perspective. You know that even if this trade should move against you and stop you out, you have used a safe level of leverage and can easily withstand the loss. By sticking to the rules of your strategy, overtime you will come out on top and the use of proper money management allows this type of patience and poise. Additionally you will be able to manage the trade from the perspective of someone thinking logically and not with overwhelming thoughts of fear and greed behind your decision making process. Overall a successful traders mindset is something that takes time. It is not a simple as just saying your going to be a profitable trader, but rather a process that you must take steps to achieve. Listed above are just 3 steps in the process that cover different areas of how thought can effect a trades outcome. Focus on correcting these 3 specific areas first. Inevitably each individual trader will have unique problems associated with the mental aspect of trading and these will have to be addressed as well. After a problem has been recognized, you will do well to brainstorm a solution and stick to it! By following the steps above and applying the practical solutions to the problems you will be well on your way to a successful day traders mindset! Each time I read a very good article I normally do just a few things:1.Share it with my relevant friends.2.Bookmark it in all of the common social sharing sites.3.Make sure to return to the web site the place I got here accross the article.After reading this article Iâ€™m really concidering doing all three! I honestly appreciate the comment! It’s genuine people like you that keep me teaching others what I know. I have an honest desire to teach forex, and I wish more had your attitude 🙂 I wish you the best in your forex trading, and maybe I’ll see ya in the trading room!